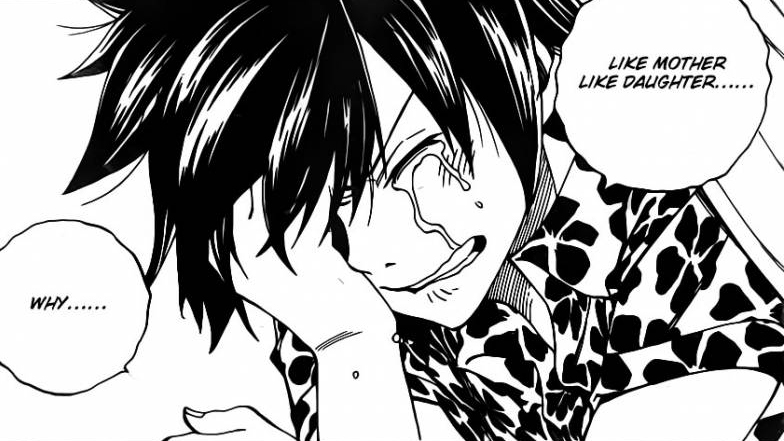 Fairy Tail 339 says goodbye to another character. Ultear gave most of her life to return just one minute of everyone’s life so, in turn she asks for her Guild as well as other member who knew her to leave her at peace while she lives on looking at the clouds gracefully! She may have begun badly but in the end she was just like mother who gave up her life for the people who she loved. We also learn about Doranbolt powers. Fairy Tail 337 begins as Jellal and Meredy look around in their efforts to look for Ultear, they mention that they hope that she’s not hurt because even time cannot heal wounds. Rogue and the Dragons went back to their original time, however they have no information on Future Lucy. Plus their memories, wounds and the town is in a destroyed state. Even though nothing happened. Time became too warped that most people are unable to remember that moment, plus Jellal mentions that it’s a good thing that they still have their memories. Furthermore, the Council knew about the Black Magic in which the Royal Family were conducting, he worries for them until they spot Doranbolt in front of them. We go to the Magic Council in which Master Org and Lahar talk, Org thanks Lahar for looking after the games, he mentions that it was fun. Org replies by saying that that is what the King usually says. Org mentions that there was even an illusion of a Dragon at the closing party, Lahar replies by saying that he heard from Doranbolt, however he was asleep at the in. We go to Jellal, Meredy and Doranbolt who are all talking, Doranbolt mentions that he had altered the memories of everyone involved. Jellal is surprised that he had such kind of power, infiltrating and investigating with that power is his job. He did such a thing due to the fact that the Royal Family used magic from the book of Zeref. If would be bad if everyone knew what the Royal Family were doing. He doesn’t have much feelings towards this because he’s only a minor councillor, however there are times when you need to pretend that you didn’t see a thing. He also mentions that he altered Lahar’s memories too, he will most likely be a head some day, that is why he doesn’t want him to do any of his dirty work. Jellal is shocked that there was a guy like him, Doranbolt mentions that Jellal was of course a councillor too. Doranbolt asks if they have an idea of where Ultear is, he mentions that she wouldn’t disappear without saying anything. Doranbolt mentions that he doesn’t have anything to do with him, he must be going downhill if he is worrying about him. 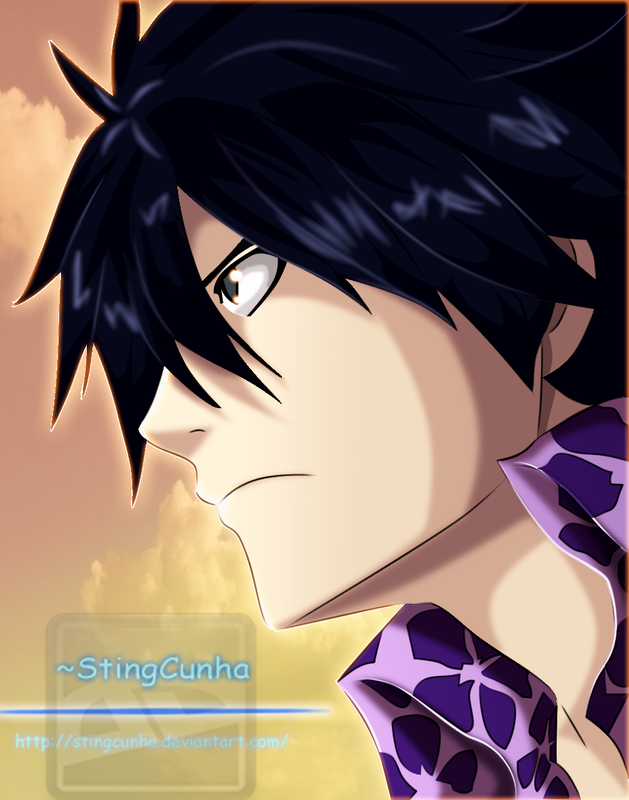 Jellal tells him to wait, he’s grateful for his doing, but what happened to Cobra he asks. Doranbolt tells Jellal that he just came back a few days ago. He mentioned that he couldn’t even defeat the dragon. Lahar mentions that he might be evil but he sure does keep his promises. Cobra mentions that he was able to heard voices once again, even Cubellios too. Plus he’ll go back to his cell in order to save the six mages. He also mentions the door to hades will open, plus mentioning for him not to mess with his memories until then. Jellal and Meredy keep on walking, talking about the door to Hades. Tartaros a major Dark Guild. Furthermore they don’t know what kind of information he will exchange, but he will do it for his immunity. Jellal wonders if the Tartaros Guild will make their move. Out of nowhere, an old lady appears, she mentions if the people in front of her are Jellal and Meredy. She mentions that she had a letter from a certain lady. They begin to read the letter, meaning that she’s sorry. Because of the battle, her life is hanging by a thread, she also wanted to say goodbye but wasn’t quite able to. She mentions that this is the end of her journey and that she’s leaving her spirit for Crime Sorciere to them. Which is to never forget their sins and to believe that their sins will be forgiven one day. And to never stop loving people, the true battle begins here and if they don’t defeat Zeref, many mages will be stained in sorrow. Live her share of life and fight for everyone, and she hopes their journey will bring happiness to everyone. Meredy begins to cry. Jellal turns around to see that the old lady is gone, Jellal realises that it could have been her. Nearby, we see Fairy Tail just go by talking to each other, happily while Natsu feels sick. They pass the old lady, she begins to to look up at the sky she realises how small she really is, there is an endless world spreading before her. 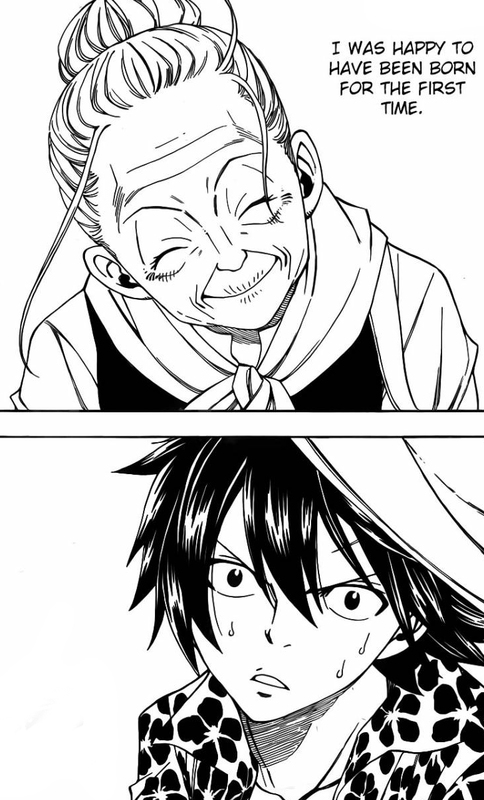 Gray notices the old lady. She mentions that the light pouring down and illuminating her, it’s like a shower of light which is washing away her sins. She’s happy to have been born for the first time, Gray looks at the lady and realises that it could have been Ultear! Gray tries to stop the wagon but realises that Ultear has finally forgave herself. Gray also realises that it was her who saved his life. 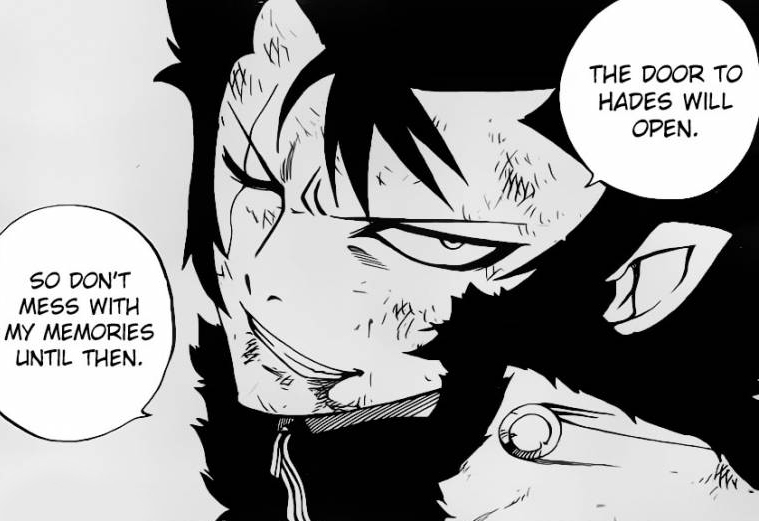 Meredy and Jellal realise this, and so does Gray. He mentions that this is the same, like mother like daughter he mentions. She says her goodbyes to the people she most loves. Every person has lived the time in which has been given to them, that is life. 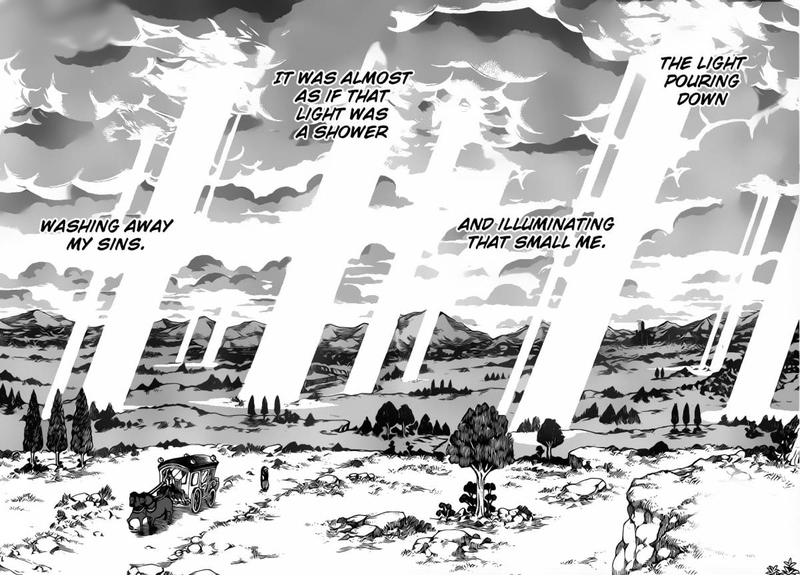 Fairy Tail 339 ends here. A good chapter, saying goodbye to Ultear was more emotional that I had thought, she’s really old now and it seems that she’s finally forgave herself for her doings. She also found peace in what she had done. Only one more chapter left for today. 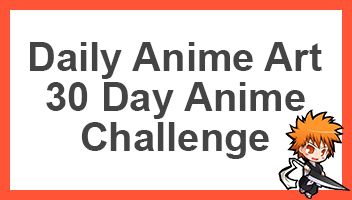 Can’t wait for Fairy Tail 440. This was an emotional chapter, I can honestly say I shed a tear and I very rarely do that. Ultear has been one of my favorite characters ever since Tenroujima, so I’m extremely sad to see her go. It was painful to see her so old and frail and I can’t imagine the sadness Meredy is feeling right now. 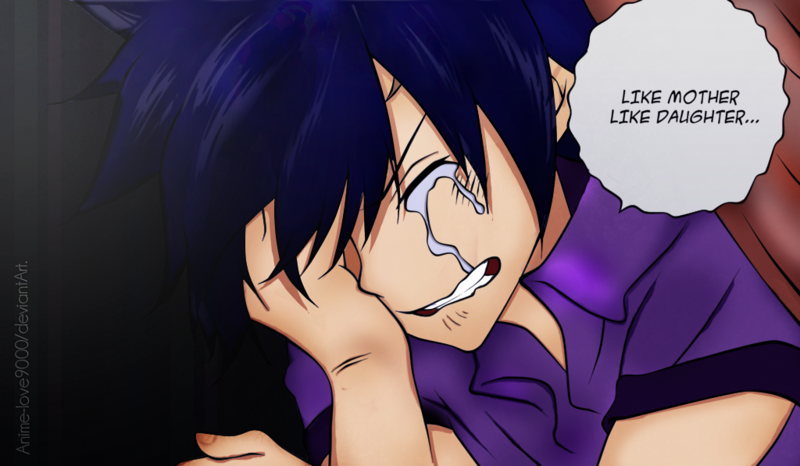 First she lost her hometown and family and now she’s lost Ultear too. At least she still has Jellal by her side. It’ll be interesting to see how/if she’ll recover from this. I’m glad Ultear was finally able to find peace and forgive herself. 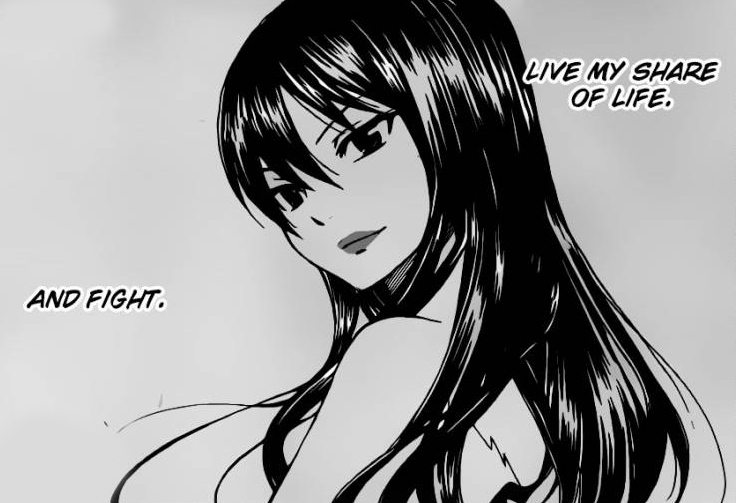 Love you Ultear!